Typical Dutch snack – Kroketten and Bitterballen. The best ones in town- Van Dobben. Korte Reguliersdwarsstraat 9 1017 BH Amsterdam. EYE Cinema Bar Restaurant.€20+. www.eyebarrestaurant.nl To get there catch the ferry (behind the Central station) to the Film Museum. 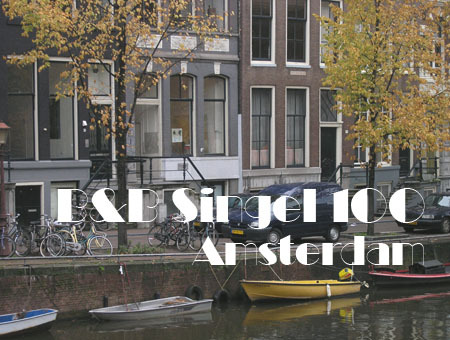 Market close by Singel 100, Noordermarkt (Jordaan) Saturdays – farmers market, Mondays – collectables. Amsterdam School Architectural style/movement. Spaarndammerbuurt. 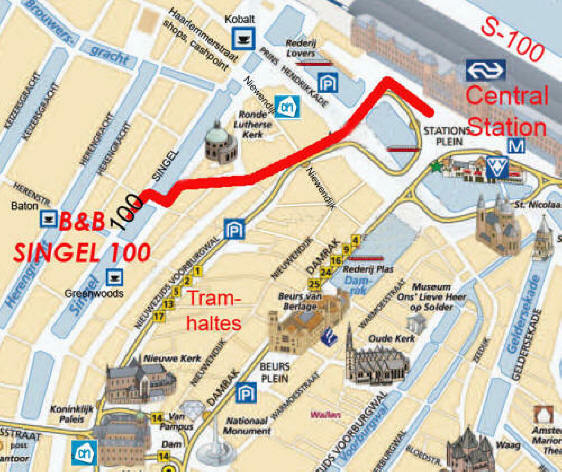 From our locaton B&B Singel 100 you can walk to any point of interest in Amsterdam, but the tram and bus services are also very easy to use. Just out of the Central Station there is a Tourist Office for maps and public transport information. Here you can buy tickets that are valid for several days. Next to the Central Station there is a bike rental.